It took Justin Rose 20 years to reach World No. 1 for the first time in his career. He might as well stick around for a while and enjoy the view. 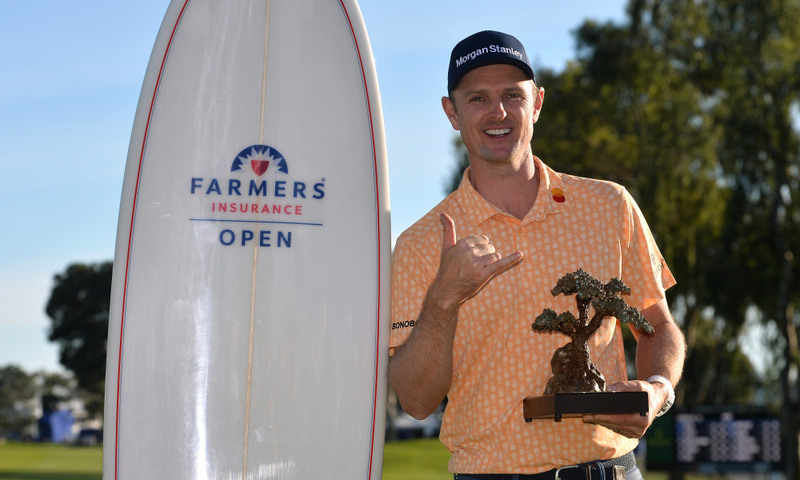 Having traded back and forth with Brooks Koepka over the past two months, the 38-year-old Englishman strengthened his grip on the top spot by winning the Farmers Insurance Open on Sunday at Torrey Pines. It takes serious consistency to stick around as long as Rose has, and recently he’s more often trended toward spectacular. Rose shot 21-under 267 for the two-stroke win over Adam Scott and earned a benchmark with his 10th PGA Tour win. It was Rose’s fourth worldwide win since late 2017, including the Turkish Airlines Open, WGC-HSBC Champions and Fort Worth Invitational. His recent success had some questioning his decision to switch clubs throughout the bag this offseason. Rose made himself comfortable with the new equipment back home in the Bahamas, posting updates of his progress with his Honma clubs on Twitter. If there were any doubts that 2019 wouldn’t be nearly as kind, or perhaps serve as an adjustment period, Rose erased them by setting the 54-hole tournament scoring record and holding on after making bogey on three of his first five holes Sunday. Rose settled in for a 3-under 69 in a final round devoid of much drama thanks to his steady performance on the back nine. He also used his status as top dog for added motivation early in the round. “I just said, ‘You’re No. 1 in the world for a reason. Just start playing like it, please,’” Rose said. Aside from the new clubs, Rose also had a new man on the bag this week with long-time caddie Mark ‘Fooch’ Fulcher recovering from heart surgery. Gareth ‘Lordy’ Lord has known Rose since he was 14 years old. The two shared European Ryder Cup team rooms while Lord caddied for Henrik Stenson. Lord also is an old friend of Fulcher and credited Rose’s regular caddie for helping out from the couch. Now it’s on to the inaugural Saudi International in Saudi Arabia, a European Tour event that’s drawn criticism in the wake of the murder of journalist Jamal Khashoggi at the Saudi consulate in Istanbul. Asked about the political implications and concern about the optics of playing there, Rose said those factors didn’t enter his decision. It would be foolish to discount Rose’s chances of winning no matter where he tees it up these days. He doesn’t receive as much attention as his younger American counterparts, but there’s no question he’s the world’s best at the moment in rank and form. Rose has won at least once a year for the past decade, but suddenly the wins are coming in droves. There’s good reason to believe this is the year for Rose to bolster his major resume, which lists only the 2013 U.S. Open. Fulcher should be back on the bag for the first opportunity at the Masters. Rose likely will be the favorite entering Augusta National, and his decision to switch equipment after the year he had proves complacency won’t be an issue as he looks to ride this wave of success however high it goes.